An acquaintance brought an 8-week old pair of terriers to the park. They were never still for more than a moment. Their hearts’ beat so fast, they were in perpetual motion. It wasn’t easy to achieve clarity and focus on their eyes. 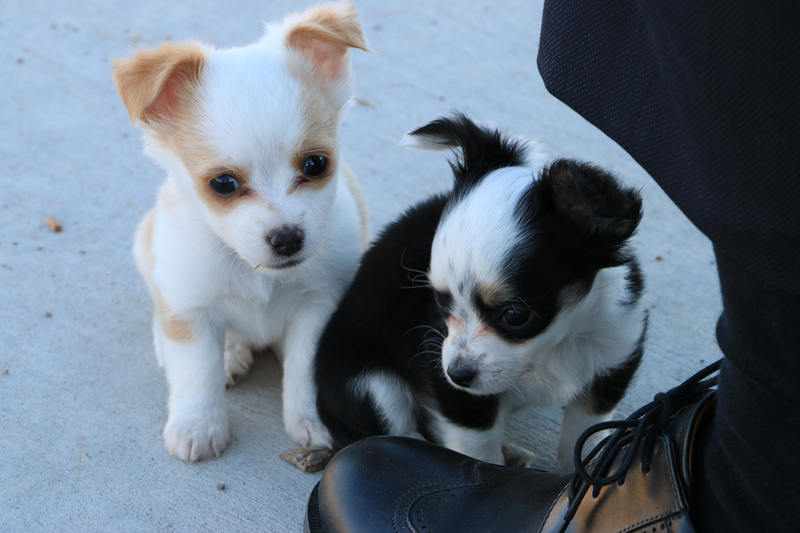 If I were going to name these pups: the one with tan ears would get Ginger, black ears would get Licorice. Right after I made this shot, Licorice started chewing on the shoelaces on the oxford pictured in the bottom right corner. Ginger disappeared into someone’s armpit. Everyone wanted action with these perky fops.